#4 - 75 year old widower posted an ad looking for someone to fish with, and hundreds offered to drop a line with him. Schwahn - "Surgery scheduled, with no organ spread and shrunk/dead tumors their goal is now curative, not merely delaying the inevitable. Let's go." #3 - Halsey just donated a whopping $100,000 to Planned Parenthood. #6 - Netflix's gamble pays off as subscriptions soar. #5 - Caloric restriction increases lifespan in non-human primates. #6 - Trump reportedly has written his own inaugural address, how can we turn it into a drinking game? #4 - A new study finds parents who talk with their high schoolers about science and math can increase competency and career interest in the fields. #3 - "After Snowden showed everyone how much the US tracks people's browsing, there was a 20% decrease in visits to Wikipedia pages about topics relating to terrorism." 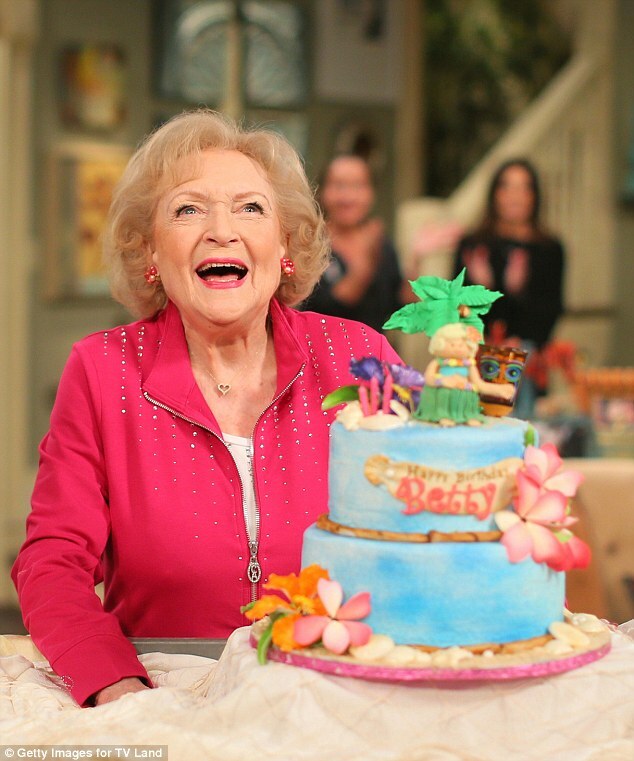 #2 - Happy 95th birthday Betty White! #8 - Caffeine may counter age-related inflammation, possibly explaining why coffee drinkers tend to live longer than abstainers. #1 - Pope Francis: There is 'no point' going to church if you don't really believe in it. #4 - Killer whales go through menopause to avoid competition with their daughters. This sheds light on why menopause exists at all. #3 - A New Zealand man and his six-year old daughter missing at sea for more than a month have landed in Australia. #10 - Philippines will offer free birth control to 6 million women. #4 - California’s first-in-the-nation law requiring prosecutors, rather than secret grand juries, to decide whether a police officer who kills someone should be charged with a crime was declared unconstitutional Tuesday by a state appeals court. #9 - TIL that diarrhea was the leading cause of death in the American Civil War and soldiers had an honor code against shooting someone that was pooping. #8 - Children born to obese parents are more likely to fail developmental tests for motor skills, social competence, or cognitive problem-solving. #7 - Over the counter birth control might soon become a reality. #4 - Vladimir Putin polls better with Republicans than Obama does. #3 - Restaurant in Montreal offers free food to those who can't afford to pay.